We are a company specialized in the production and distribution of high quality fasteners such as bolts, nuts, screws, washers etc. We supply the full range of fasteners according to DIN, ISO, UNI and EN standards, available in a wide variety of sizes, materials, grades and coatings but also stainless steel A2 and A4. We ensure the selection of the right product with quick, on-time delivery. Whether you are looking for self-locking nuts or tapered pins, stainless steel screws or simple flat washers, we maintain an extensive inventory of fasteners to meet the needs of all your applications. From our headquarters, we offer our customers seriousness and professionalism, high quality fasteners at competitive prices. Customer satisfaction is our first priority. 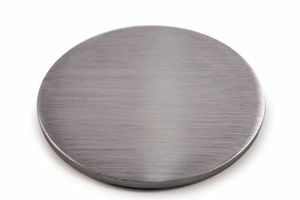 The products are an excellent complement to our pot magnets, magnets with countersunk hole etc. The metal discs can be used as a counterpart to our magnets. Magnosphere range of fasteners is among the largest offerings, including standard and non-standard items in various sizes and with various coatings. Continual monitoring the range is a ‘given’ at Magnosphere. This comes mainly from new or changed customer requirements. Fasteners come in many different forms. learn about many different types of nuts, bolts and screws! Bolts are fasteners that require a nut or pre-tapped hole to be installed. Screws use their threads to provide their own holding power. The terms in the industry are commonly mixed so some times you will see something that is called a screw or a bolt that is actually the opposite. Magnosphere selection of anchors includes mechanical and chemical anchors, as well as their specialty tools and accessories. 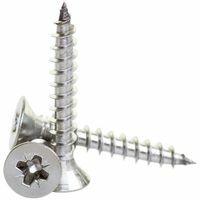 Wall anchors secure objects to drywall and similar materials without requiring a wall stud. Also called split-drive anchors, drive anchors are one-piece, pre-expanded anchors designed for fast, permanent securing applications. 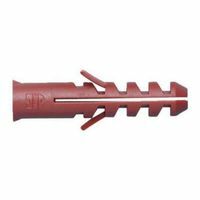 Umbrella anchors are used for fastening anchors through block and tile applications where the force of the load must be distributed. Hex cap screws feature a washer face under the head and a chamfered point, whereas a hex bolt does not have a washer face or chamfered threads. They are made of low-carbon steel and are very common in construction or repair projects. 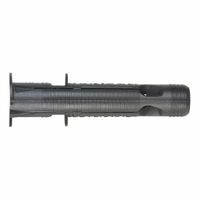 Structural bolts are designed for high load applications requiring a high tensile strength, especially those connecting steel to steel, such as the construction of bridges and buildings. Commonly found in farm, road construction, and other heavy equipment, plow bolts are heavy duty fasteners with non-protruding heads. A square neck prevents turning of the bolt. Nuts, or mating fasteners, are available in hundreds of different shapes and sizes for any project or application. Varieties are normally hexagonal or square in shape, and have either coarse or fine internal threads that correspond to those of a mating bolt. 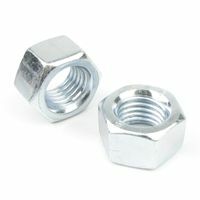 Jam nuts are used as a second nut threaded over a bolt to prevent the first from loosening, or in applications where there is not sufficient space for a standard nut. Lock nuts do not readily loosen when placed on bolts. This makes them useful for holding wheels onto axles, or in automotive engines where machine vibration would otherwise loosen the fastener. Lock nuts may also be used as jam nuts, threaded over another nut to keep it in place. Wing nuts may be tightened or loosened by hand, making them useful fasteners in applications where adjustments or disassembly are frequently required. Wing nuts may be used in furniture, items with interchangeable parts, and drum kits. Square nuts have a large surface area, which resists tightening and loosening. Square nuts are commonly used in furniture, metal channels, and railroad applications. Machine screws have a uniform diameter the entire length of the shaft as opposed to tapered screws which have a pointed tip. 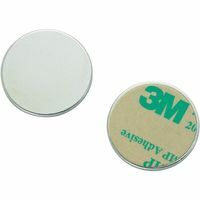 They are used to fasten machine components, appliances and more. Sheet metal screws are designed for connecting thinner metal objects to one another or connecting metal to wood, plastic, and other materials. Many can start their own pilot hole. Thread cutting screws are a class of self-tapping screw that create threads in existing holes in metal, and are often used as fasteners in items that need periodic maintenance. Thread cutting screws are most often used with wood and metal and do not generate the same stress as thread forming screws. Wing-like projections from the head of the screw, ideal for thumb and forefinger leverage in turning. Ensures rapid assembly and disassembly using only your hand. 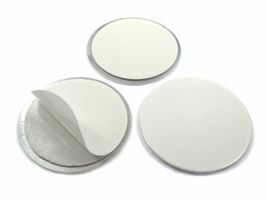 Magnosphere carries a variety of durable washers intended to fit under the head of a fastener in order to increase the hold of the fastener or to increase the bearing surface. Lock washers are specially designed to keep threaded fasteners from loosening. They prevent vibrations and some have external teeth to prevent rotation. These washers are often found in airplanes and in structural applications. Bonded sealing washers' seal provides a greater degree of corrosion protection than conventional washers, making them ideal for plumbing or outdoor applications like roofing. Designed to limit stress on contacting parts, square washers are useful for reducing noise, vibration and electrical current. Rivets provide simple and aesthetically pleasing fastening in many varieties. They are all used in order to allow dissimilar materials to be joined together and not be easily separated. Rivet back-up washers are used to strengthen blind rivet joints.